Get ready for IHRE18 Summit! Home > Get ready for IHRE18 Summit! It’s almost time for the first ever In-House Recruitment Expo Summit.  On 9th October we’ll be bringing to Telford the mix of conversations and learnings that have made the annual In-House Recruitment Expo event such a huge success in London for the past 4 years. This means that more of the UK community involved with the hiring, retention and development of talent can now stay ahead of what’s happening and find out which emerging trends are likely to impact the talent space. Jobseekers are much more aware of how businesses treat their employees, and the experience they get when applying will often dictate whether they accept or reject an offer. Their reasons for joining are more concerned with this experience, and the chances for personal growth and progression rather than immediate pay and state of the art offices. And they stay for the same reasons. Whilst many recruiters focus their efforts on building communities of passive candidates, many others find that successful hires usually come from active jobseekers so focus their efforts on how roles are designed and marketed. Far from being replaced by algorithms and chatbots, the best recruitment teams look for ways in which new technologies can augment their processes and drive stronger, more meaningful relationships. Which is important, as quality of hire is recognised as a more meaningful measure than cost or time per hire. Defining what makes a quality hire is a key challenge for the recruitment team, and will involve input from line managers, HR and Learning & Development. All these trends, and more, will be discussed and debated throughout the Summit, and in the networking area, helping recruiters understand how they can take advantage of new opportunities. Throughout the day you will be able to meet and engage with a varied mix of established and emerging recruitment technology businesses. Our silver sponsors Workable will be showing how their all-in-one recruitment solution can help to fix problems at the top end of the recruiting funnel, helping improve the quality of recruiting by improving the quality of candidates. Shine Video Interviewing will demonstrate why their platform is much favoured by candidates and can help reduce time and streamline the recruiting process. If you want to know more about how automation and machine learning can help drive unlimited sourcing potential, then Oleeo will be on hand to showcase their award-winning technology. At the In-House Recruitment Summit, we’ll have a series of informative and thought provoking seminars and masterclasses, with speakers and practitioners from across the recruitment and HR spectrum sharing case studies, best practice, research and analysis. You can hear from Steve McNally of TalentScape on the key topic of how to overcome the 5 unconscious biases that can affect every recruitment process, whilst Polly Barnes from Targeting Talent will offer research insights into how candidates see their journey from applicant to employee, with some surprising findings! Carnival UK will share their experiences of driving cultural change in the session “Working together with people with opposing views can get fantastic results: why the pain is worth it” and Phil Wilson from the Civil Service will talk about how they have tackled social mobility to be recognised as the top public sector body in the 2017 UK Top 50 Social Mobility Employer Index. We’ll have sessions on building diverse talent pipelines and effective employer brands. One of the liveliest sessions will undoubtedly be the panel debate ‘Are we ever going to get better than this’. Chaired by Martin Dangerfield, this wide-ranging discussion will look at where the in-house recruitment function is today, and how it can evolve to where it needs to be. With so much to see and hear its time to start planning your day. Visit our website for the full agenda of seminars and masterclasses and start choosing the ones you want to hear. You’ll also find the list of exhibitors to help you decide who you need to meet. Recruiters looking to make a real difference to their businesses in 2019 need to get ahead now! 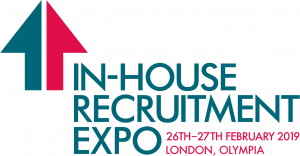 Also make sure you follow @InHouseRecExpo and #IHRE18Summit on Twitter for all the latest updates and announcements.We look forward to welcoming you to Telford for the first In-House Recruitment Expo Summit on 9th October!